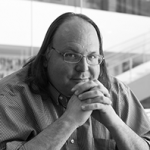 D&S advisor Ethan Zuckerman provides his thoughts on the recent 2016 presidential election and insurrectionism. I didn’t want to see a Trump presidency, and the rise of insurrectionism to the highest levels of the American government scares the crap out of me. But scarier is the endless blame game I hear my allies engaged in, figuring out whether we blame the media, the FBI or anyone other than ourselves for this loss. We have a brief opportunity to figure out how to make social change in an age of high mistrust and widespread insurrectionism. It would be a shame if Donald Trump figured out how to harness this power and the progressives lined up against him failed to do so.